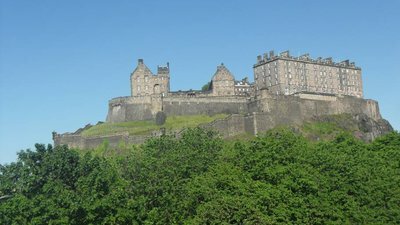 While Edinburgh has plenty to offer, from award-winning museums to an ancient old town, it’s also perfectly connected with other Scottish cities and villages. 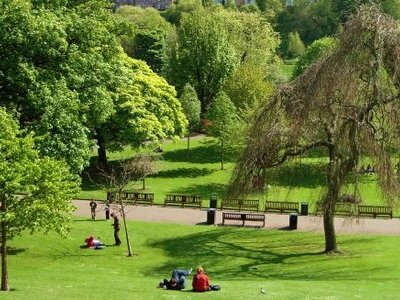 Our guide to day trips from Edinburgh features some of our favourite nearby places including things to do and how to get there. Technically a suburb of Edinburgh, South Queensferry is worthy of a short day trip. Have you ever heard the saying “like painting the Forth Bridge”? Well, in South Queensferry, you can take an up-close look at the UNESCO World Heritage Forth Rail Bridge and learn about its fascinating history. The area also has a quaint, historic downtown with cobbled stone streets, plenty of restaurants and coffee shops and a few boutiques. Our favourite is Manna House Bakery. Orocco Pier is also worth checking out for something a bit fancier. You can also take a short boat ride to Inchcolm Island, home to a historic monastery and secret tunnels from WWI & WWII. As Edinburgh’s sister city, there are great transport links between Edinburgh and Glasgow. So, you can easily explore Glasgow on a day trip from the Scottish capital. Glasgow offers something entirely different from Edinburgh. With nearly 600,000 residents (100,000 more than Edinburgh), Glasgow certainly feels like a city. Here, modern buildings with floor-to-ceiling windows bump elbows with historical red brick houses and shops. Glasgow has lots on offer including renowned museums, a historic port and, most infamously, a thriving nightlife. Those travelling with kids will enjoy exploring the exhibits at the Kelvingrove Museum or learning about innovative technology at the Science Centre. History buffs will delight in exploring Glasgow Cathedral ancient and Acropolis, which lies directly behind the cathedral. Kid-free adults can also relish in Glasgow’s many trendy cocktail bars, live music venues (most notably King Tut's Wah Wah Hut and ABC O2), and vibrant theatre scene. Everyone will find something delightful to do in Glasgow. Trains from Waverley and Haymarket take 47 to 50 minutes and run frequently to Glasgow Queen Street. The last train leaves at 11.30 pm. For after hours, night bus #900 run every half hour from Buchanan Bus Station (Stand 49) and take 1.5 hours. Check schedules for your intended date before travelling. A short journey North of Edinburgh, you’ll find the delightful historic city of St. Andrew’s. Boasting a world-class university the town has a strong student vibe with plenty of coffee shops, pubs, and of course restaurants. Here, you can learn about the origins of golf at the British Golf Museum and visit St. Andrew Links, the world’s first golf course. If you’re not a golf fanatic, there’s plenty of other interesting sites including 12th-century cathedral ruins, a 13th-century castle, and fun sea life aquarium perfect for kids of all ages. Fans of the Royal family can also visit the cafe where Prince William met the Duchess of Yorkshire when they were both students at St. Andrew University. Trains run roughly every half hour from Edinburgh Waverley to Leuchars. From Leuchars, you can take a short bus ride #99 (less than 15 minutes) to St. Andrew’s city centre. Journey time is 1.5 hours. Buses from Edinburgh Bus Station also run frequently and will drop you directly in St. Andrew’s. The bus takes two hours. Another historic city within easy access of Edinburgh, Stirling has one of Scotland’s largest and most important castles. Stirling Castle played a pivotal role in the Wars of Scottish Importance and has a quaint museum that provides insight into Scotland’s fascinating history. In Stirling, you can also visit the National Wallace Monument and pay your respects to one of Scotland’s great leaders, explore the 15th-century church or stroll through the delightful Kings Park. Those with young kids may especially enjoy the Blair Drummond Safari Park with its exotic animals and adventurous spirit. Trains run roughly every 30 minutes from Waverley to Stirling with a journey time of 50 minutes. If you’re travelling on a strict budget, there’s also a bus that runs from Edinburgh Bus Station to Stirling, but it takes 1.5 hours. Less than 30 minutes from Edinburgh, North Berwick is an enchanting seaside town. While you could spend hours wandering through its countless boutiques and sipping coffee at local cafes, the big draw in North Berwick is Tantallon Castle. Tantallon Castle, located 10 minutes outside North Berwick by car, is one of Scotland’s most atmospheric castle. Overlooking the Firth of the Forth and Bass Rock (home to the world’s largest colony of gannets), these 14th-century castle ruins provide stunning views. As you explore the ruins, you’ll feel like you’ve stepped back in time. Tantallon Castle is one of our personal favourites, and we really recommend visiting it as it gives an interesting contrast to the almost perfectly preserved Edinburgh Castle. Trains run hourly from Edinburgh Waverley to North Berwick. The journey takes 33 minutes. Once here, you can grab a taxi or the #120 bus to Tantallon Castle. Technically still part of Edinburgh, Portobello was a popular seaside retreat during the early 20th century. Today, it retains much of its old school charm with quaint coffee shops, second-hand stores where you can browse for a bargain, and a charming boardwalk with a beach. During the summer, you’ll find lots of local families strolling the boardwalk eating ice cream or braving the chilly waters. The beach is also the perfect place to try your hand at sand castle building. Portobello offers a welcomed retreat from Edinburgh’s busy tourist areas and is a fantastic place to cool off during the warmer months. 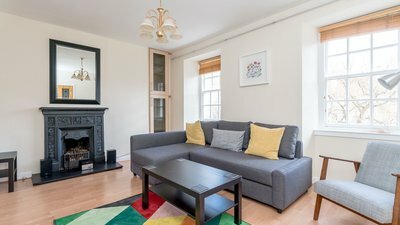 Alternatively, you can stay in our cosy seaside two-bedroom cottage in Portobello. Whether you’re exploring local highlights or further afield, we’ll help you make the most of your stay. 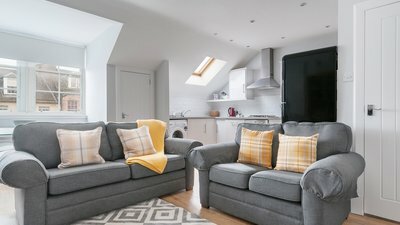 Our five-star holiday apartments are the ideal base for accessing everything that Edinburgh and Scotland have to offer. Most of our apartments are within easy walking distance to Edinburgh’s main stations, where you can catch a train to almost any destination. Book online today or send us a message with any questions. We’re happy to help you plan your Scottish adventure.